Sorry for the horrible sound quality. My voice is way louder than Sticks. I must have fucked up some mic placement But we got a nice little show for everyone. Have a listen and tell us what you think. 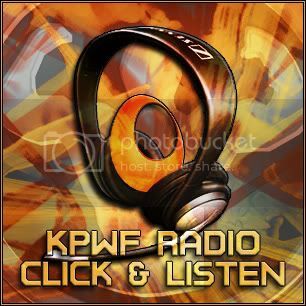 The podcast feed is updated or you can download form the link below. Please give feedback. Thanks. Last edited by Exo; 20 Nov 2007 at 07:07 PM. I keep getting a error saying "file does not exist"
*edit, I fixed it again for the original. It should be working for everyone. I'm downloading this. Gonna give it a listen in sec, i'll post my feedback afterwards. Edit - Interview was great, guys. Gave me a few laughs. Ending part about STICK's workplace was great, gave me memories of when i worked in retail, funny stuff. Last edited by Sly as hell; 20 Nov 2007 at 08:12 PM. Great show guys!... ...Very good coverage of all topics...I like most of STick's answers... ...I didn't even know what the hell the question about the butcher was about...until Stick answered it...good one...overall great show guys! Great Show Homies. I didnt know Stick didn't watch Smackdown or wrestling for 2 months, I would've gave him a better question...My bad..
Last edited by Tr(uth)iple H; 21 Nov 2007 at 09:27 PM. Great Show Homies. IB didnt know Stick didn't watch Smackdown or wrestling for 2 months, I would've gave him a better question...My bad..
No worries...it's all good man. I love all the Patriot love....I will make sure to post my Super Bowl pics all over PWF after I go.